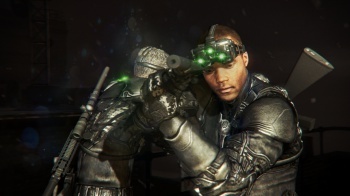 The Steam version of Splinter Cell: Blacklist reportedly isn't working in various African, Middle Eastern, and Asian countries. If you were thinking of picking up the Steam version of Splinter Cell: Blacklist, you may want to reconsider, especially if you happen to live in one of the 15 countries Reddit users are reporting a "failure to launch" error. The Reddit thread contains reports from players in South Africa, Bermuda, Kuwait, Indonesia, Egypt, Israel, the Philippines, Taiwan, Singapore, Vietnam, the United Arab Emirates, Qatar, Jordan, Cyprus and Serbia. For those in the affected countries, upon fully downloading the game, it simply comes up with a "pre-load complete" message, and won't let the player proceed to the actual game. If you're thinking of purchasing the game directly from uPlay to avoid the problem, think again, as uPlay must communicate with Steam during the installation process, and as such will simply throw up the same error. As expected, members of both the Steam and Ubisoft forums are absolutely livid. The biggest complaint seems to be the absolute lack of communication from both Valve and Ubisoft, especially considering the game has been out for three days now, and both companies have refused to comment on the issue. "Why not use a VPN?" is a question that keeps popping up on the reddit thread. Unfortunately, using a VPN is against Valve's ToS, and using one could risk having your entire Steam account banned. So for affected players, their choices are: not play the game that they paid money for, or risk having their account banned. We've contacted Valve and Ubisoft for an official comment on the issue. Update: Reports are coming in that the issue seems to be fixed. Unlocks seem to be happening around 6:30pm in each respective affected time zone, so if your game hasn't unlocked, it will likely unlock at 6:30pm in your time.